The music streaming service's massive growth doesn't make up for profit problems. Spotify's growth is undoubtedly impressive. It was founded in 2008 by Sweden's Daniel Ek, who was inspired by equally impressive though not-so-legitimate Napster, and now has 50 million users, 12.5 million of which are paying subscribers, in 58 countries. It's also captured the imagination of investors, who have poured around $500m (£318m) into the company since its inception, valuing it at around $3bn. Yesterday its latest growth figures adhered to this trend - sales grew 73.6% last year to €746.9m (£592.9m). But it's not all rosy. While it reported a fall in net losses from €86.7m in 2012 to €57.8m, its operating losses, which are arguably a better indicator of performance, grew 16.4% to €93.1m. This is partly driven by the fact it paid €605m in royalty costs - more than 80% of its revenue. This highlights the fact that Spotify is at its core just a facilitator – primarily connecting consumers with streams of music, rather than investing in music of its own. That being the case its library, currently unbelievably large, can only continue to grow at a certain pace. Its relationship with artists has often been fraught. Many have claimed they do not receive a fair amount of cash for their music and Taylor Swift made headlines by pulling her tunes from the site earlier this month. Perhaps its biggest danger though is competition from its larger tech rivals. Google launched a competing service last year and although that didn't do so well it's since launched another streaming package - Youtube Music Key - to bring the fight to Spotify. Apple and Amazon are likely to follow close behind. 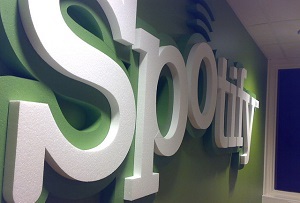 They are in a position to use music streaming as a loss-leader to attract customers to their other services, whereas Spotify doesn't currently have anything else to make money from. The investor cash won't last forever and If Spotify can't figure out how to start turning a profit soon then it could be ripe for acquisition.